Being asked to stand in a wedding is a real honour. To have someone think of you as being someone so special in their life and have you stand by them on one of the most important days of their lives, well the moment is very touching. But how would you react if you were asked to sign a prenup? 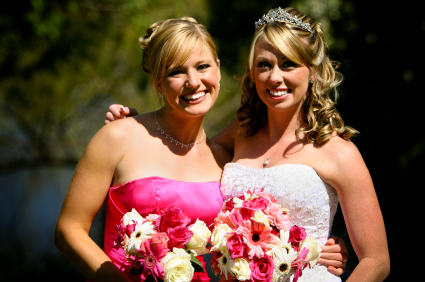 You & Your Wedding created a survey in which over 1000 brides filled out what they expected of their bridesmaids. To my surprise I read that 1 in 5 brides would want her bridesmaids to sign a Bridesmaid Prenup? Yes, you read right a prenup for your bridesmaids. The contract goes on to list items that the bridesmaids are the follow, or they would be axed by the bride. Things like not gaining a certain amount of weight between the time of signing the contract until the wedding. That the bridesmaids are not to bring inappropriate dates to the wedding, not attempt to out-do the bride, not change their hair by cutting or colouring it, not get pregnant. The list goes on. Could you imagine what the prenup for groomsmen would say? Probably something like, I promise not to tell a sole what happened at your bachelor party, or to not throw up in front of your parents after to much partying at the reception.